The SMOK TFV12 Prince is the flagship vaping tank from SMOK, and it might be the world’s most popular sub-ohm tank. With a huge selection of SMOK TFV12 Prince coils for every type of vaper — and a massive glass enclosure storing enough e-liquid for hours of vaping — there is no more flexible or highly customizable vaping tank on the market. 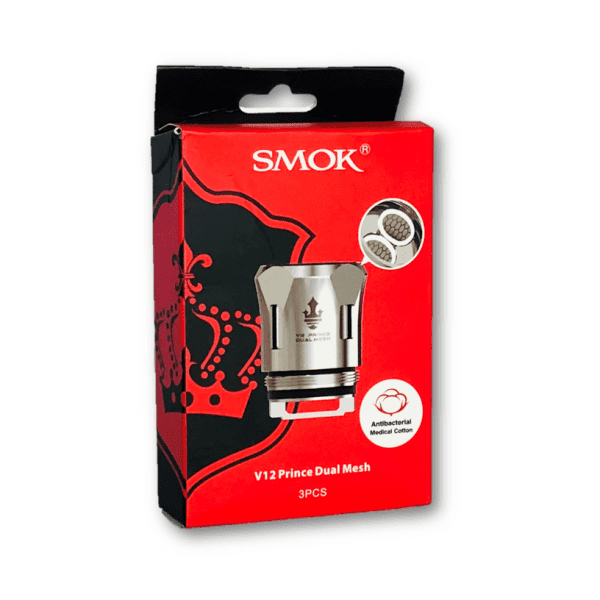 Here at Vapors Planet, we are proud to supply a comprehensive collection of SMOK TFV12 Prince coils. All of our coils are guaranteed authentic, and we ship all retail orders for free. 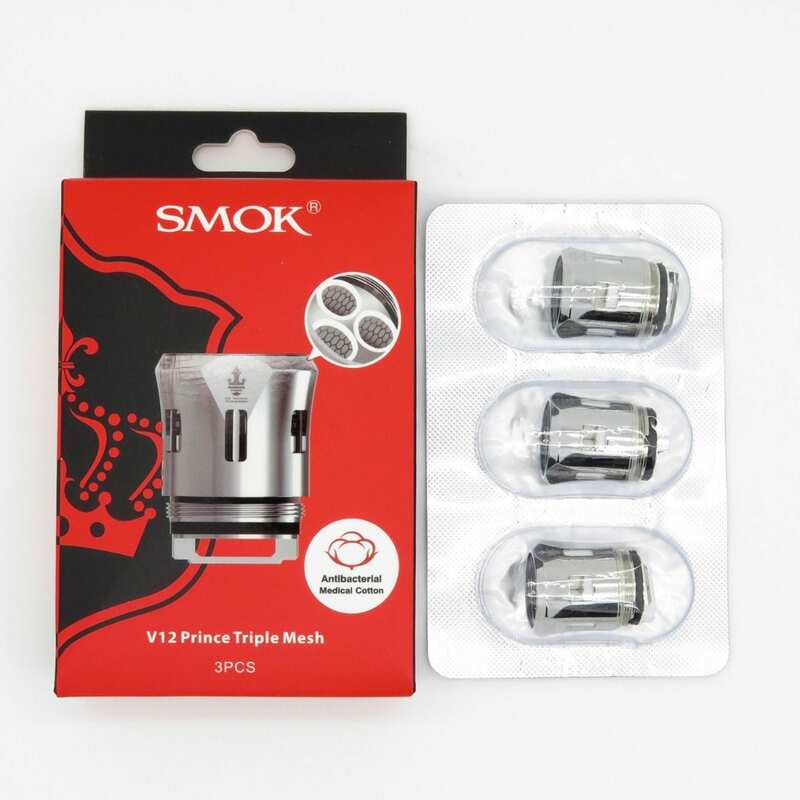 What’s Special About the SMOK TFV12 Prince? There is no vaping tank in the world with more customization options than the SMOK TFV12 Prince. SMOK offers 18 different colors for the base hardware alone. Combine that with the huge variety of different drip tip and outer glass colors, and you’ve got more than 1,000 different color combinations available for this one tank. No other vaping product lets you express your individuality so vividly. 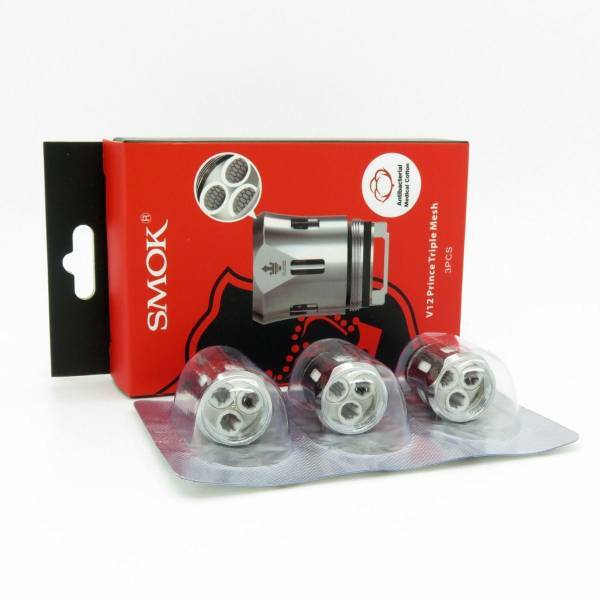 The SMOK TFV12 Prince coils are some of the best-designed vaping coils on the market. 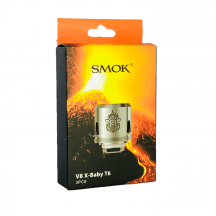 SMOK already has a huge library of coils available for this tank, and they’re continually adding more. Every TFV12 Prince coil has 12 wick holes to ensure non-stop reliable wicking performance during even the heaviest vaping sessions. The SMOK TFV12 Prince is a tank with an incredibly practical design. The swivel cap makes filling easy, but the cap also features a release button to ensure that you can’t open it accidentally. SMOK has three different glass bulb sizes available for the TFV12 Prince that allow you to choose between capacities of 2, 5 or 8 ml. Whether you’re looking for a small vaping tank or one that provides all-day e-liquid storage, the TFV12 Prince has you covered. When comparing the SMOK TFV12 Prince vs the SMOK TFV12 Cloud Beast King, the first thing you need to know is that the coils are not compatible. The TFV12 Cloud Beast King came out first. The TFV12 Prince uses similar technology but has slightly smaller coils that demand a bit less wattage from your vaping device. With suggested power ranges often exceeding 200 watts, SMOK TFV12 Cloud Beast King coils can quickly make short work of your device’s batteries. The TFV12 Prince is much more reasonable in terms of battery consumption. The SMOK TFV12 Prince holds more e-liquid than the TFV12 Cloud Beast King. While the King holds up to 6 ml of e-liquid, the TFV12 Prince holds 8 ml. The SMOK TFV12 Prince has caught on with vapers in a way that the Cloud Beast King hasn’t. The TFV12 Prince has far more colors available, and SMOK is continuing to release interesting new customization options. Many people believe that while the SMOK TFV12 Cloud Beast King produces larger vapor clouds, the flavor of the TFV12 Prince is superior. 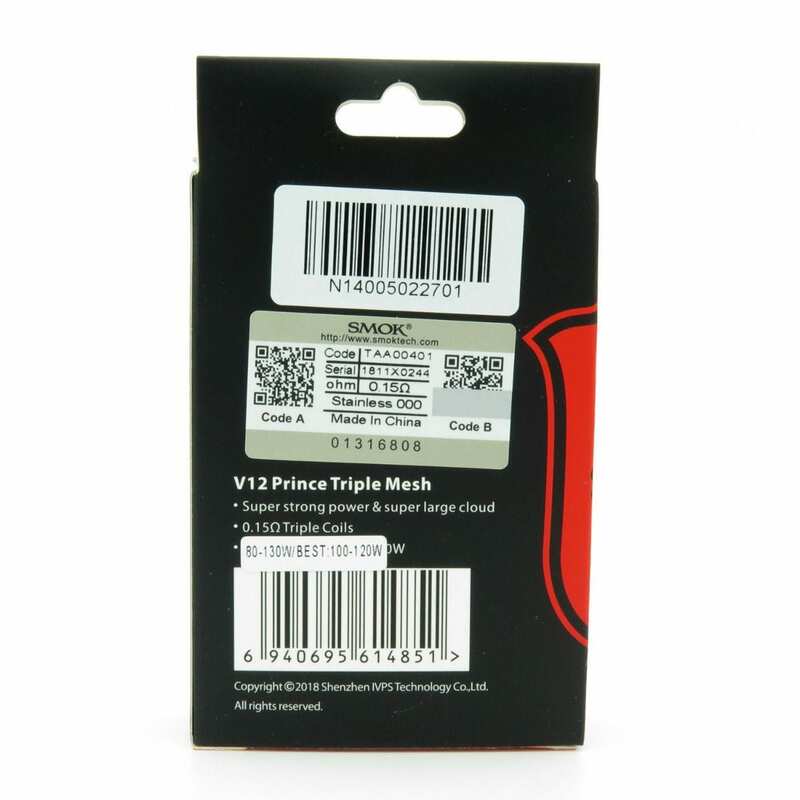 The TFV12 Prince has a locking top cap with a release button. The cap of the TFV12 Cloud Beast King doesn’t lock. T10 Coil: 0.12 ohm. Suggested operating range of 60-120 watts. For direct-to-lung inhaling. 10 total heating wires. X6 Coil: 0.15 ohm. Suggested operating range of 50-120 watts. For direct-to-lung inhaling. Six total heating wires. Q4 Coil: 0.4 ohm. Suggested operating range of 40-100 watts. For direct-to-lung inhaling. Four total heating wires. M4 Coil: 0.17 ohm. Suggested operating range of 30-70 watts. For mouth-to-lung or direct-to-lung inhaling. Four total heating wires. Mesh Coil: 0.15 ohm. Suggested operating range of 40-80 watts. For direct-to-lung inhaling. 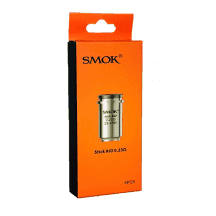 Uses a single kanthal mesh coil for high surface area and great cloud production. Dual Mesh Coil: 0.20 ohm. Suggested operating range of 50-80 watts. For direct-to-lung inhaling. Uses two kanthal mesh coils. Triple Mesh Coil: 0.15 ohm. Suggested operating range of 60-100 watts. For direct-to-lung inhaling. Uses three kanthal mesh coils. Max Mesh Coil: 0.17 ohm. Suggested operating range of 70-130 watts. For direct-to-lung inhaling. Highest rated wattage of SMOK TFV12 Prince mesh coils. Strip Coil: 0.15 ohm. Suggested operating range of 40-100 watts. For direct-to-lung inhaling. 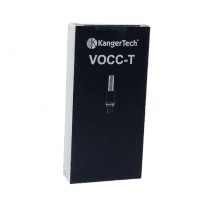 Uses a single strip of kanthal for high surface area and great cloud production.